Like most living things trees are incredibly good at healing themselves, but there are several reasons why a tree might not be healthy and you may be surprised to learn that the main cause is stress. If a tree has suffered from storm damage or extreme weather conditions such as drought it can be put under enormous pressure, and once a tree is stressed, it is much more susceptible to being attacked by fungus and insects. One of the most common reasons a tree becomes diseased or dies is a bad cut. Trees need to be cut or pruned in the right place so they can naturally heal themselves. Correct pruning also ensures the weight distribution is even – if it’s not, it can become dangerous and fall. Likewise, if you have a dead branch, removing it carefully and considering the overall balance of the tree is essential. You can usually tell if a tree is healthy by its canopy. A dense canopy, where the leaves and needles are heavy and you can’t see the sky through it is generally a sign of a healthy tree. Leaf colour is also a tell-tale sign, with yellow, browning or light coloured leaves, when they should be deeper green, being a sign that nutrients are lacking. If you have a branch which is barren, this will usually mean the correlating root is dead. In Auckland, we are prone to Kauri Dieback Disease which can be fatal to this native. Because it is airborne it is difficult to contain and virtually impossible to treat without removing the whole tree. 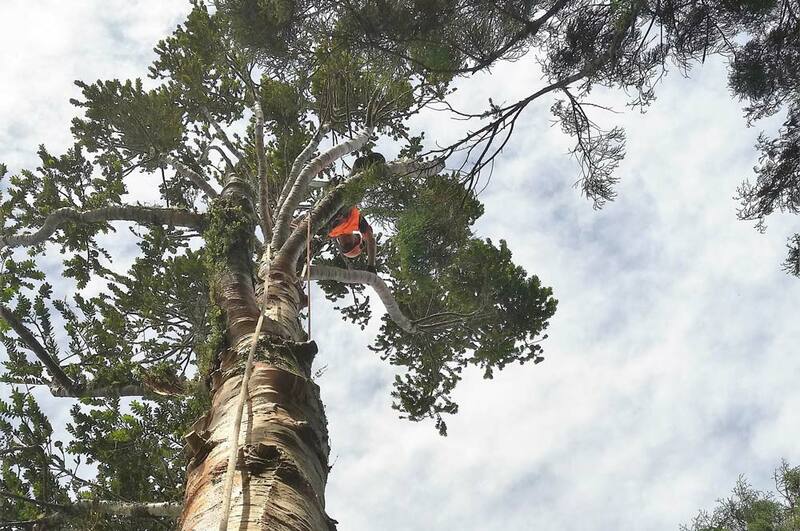 If you have a Kauri with a sparse canopy that isn’t looking quite right, it could be worth calling in an expert. If a tree is healthy, it is less likely to become dangerous so if you are worried about the health of a tree or are concerned about the safety of yourself or your property, our highly skilled team can assess the risks and provide you with recommendations and price options.